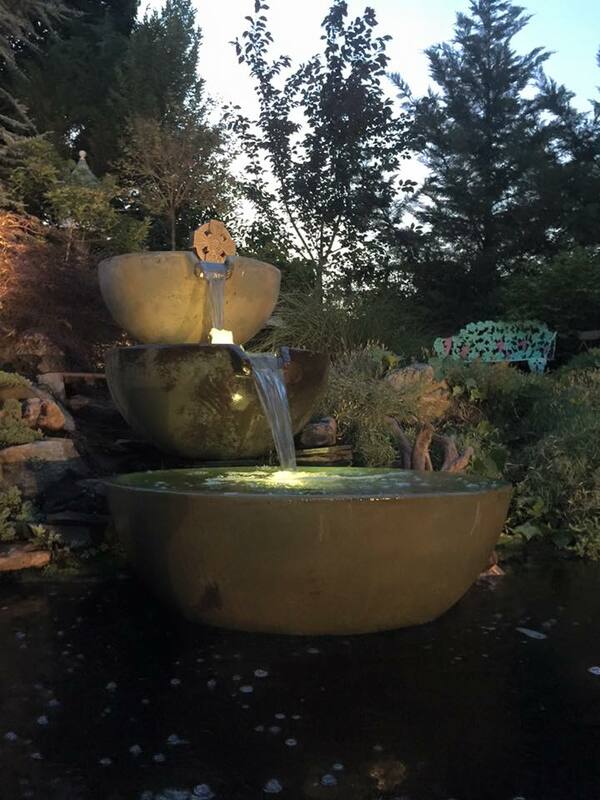 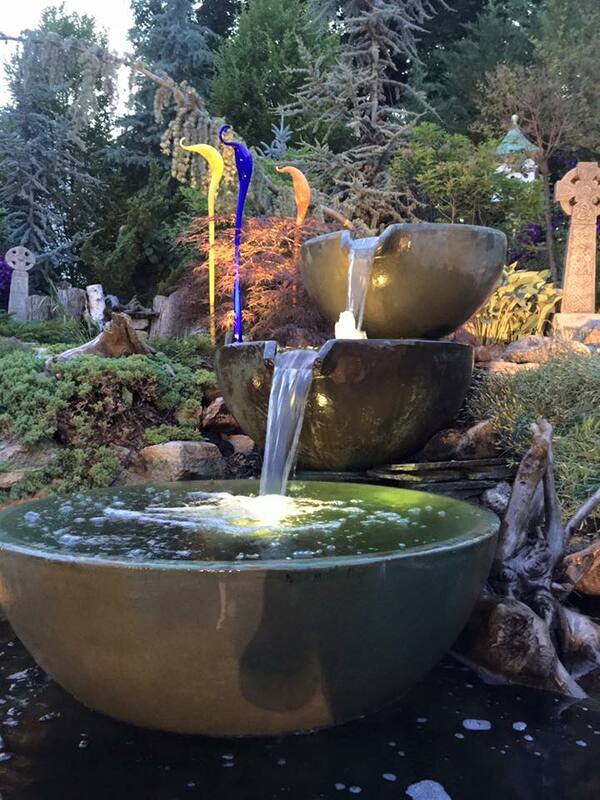 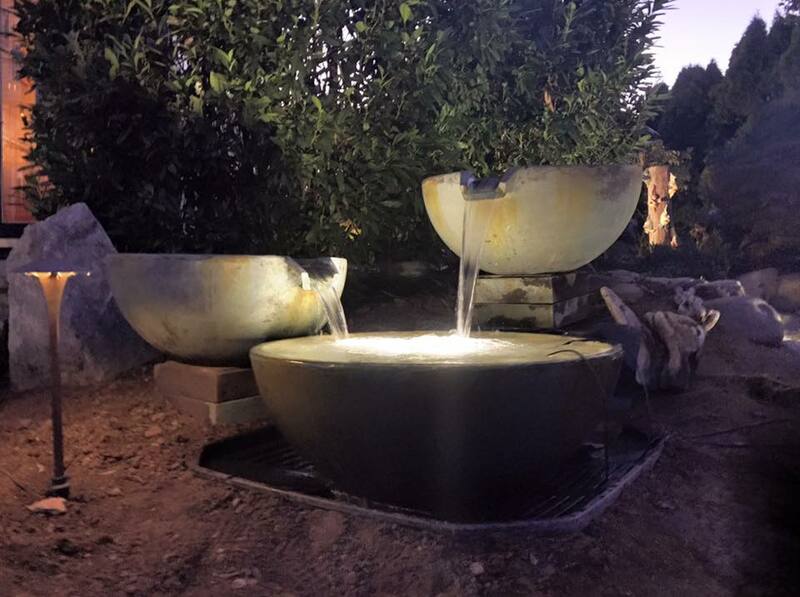 Our Bubbling Landscape Garden Fountains provide our Rockingham County, New Hampshire (NH) area homeowners with a unique and creative way to decorate their gardens & outdoor living space. Many of our client homeowners desire the soothing sounds of running water, but are just not ready for a pond or simply can't afford one. 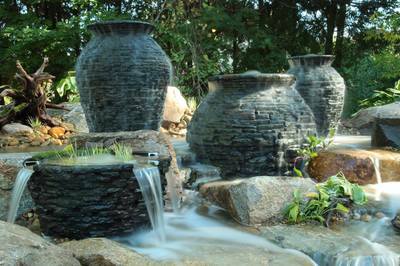 Aquascape's handcrafted decorative line, provides the perfect solution for small, entry-level fountainscape water features. 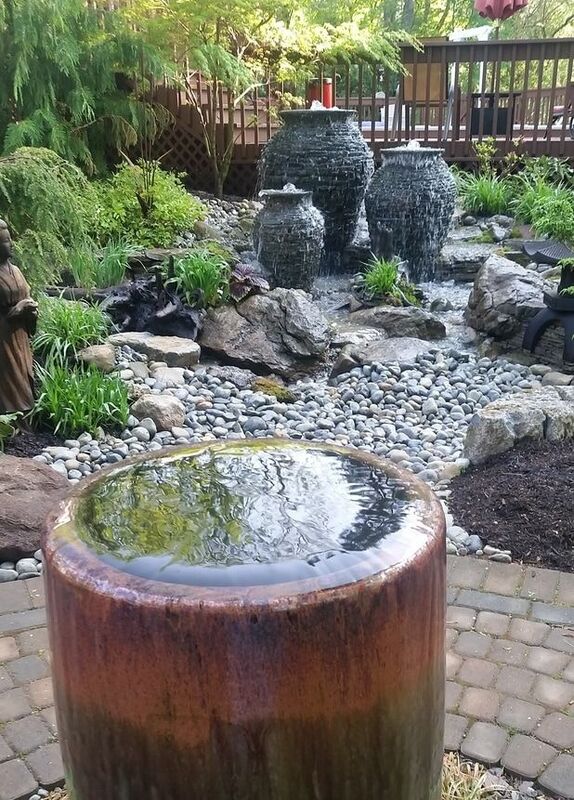 ​Perfect For That Odd Space In Your Yard ! 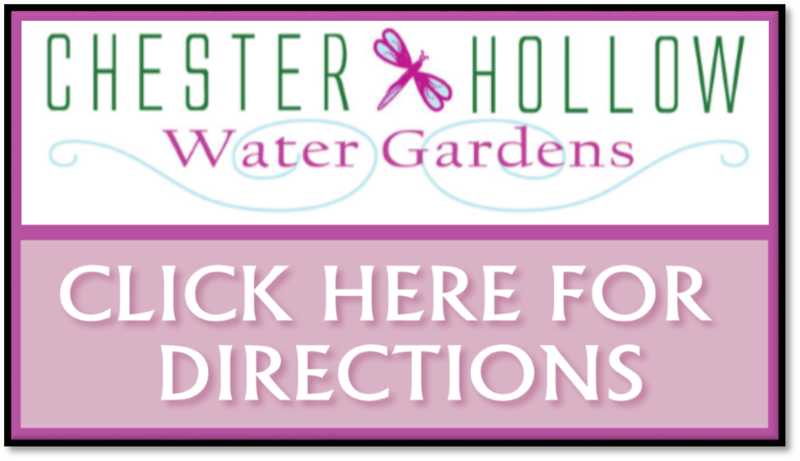 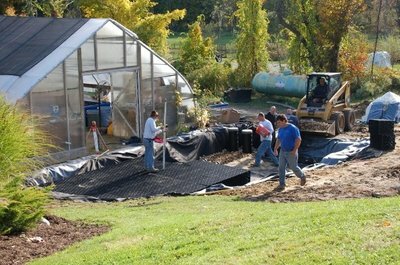 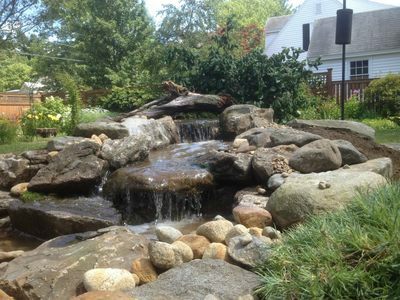 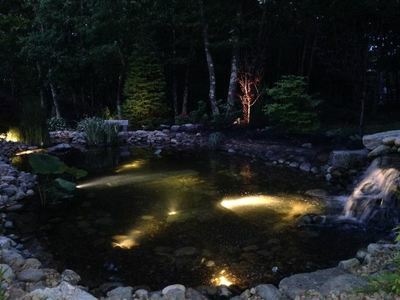 Are you interested in installing a water feature in your Southern New Hampshire (NH) area yard, but concerned about the safety and liabilities of having a pond? 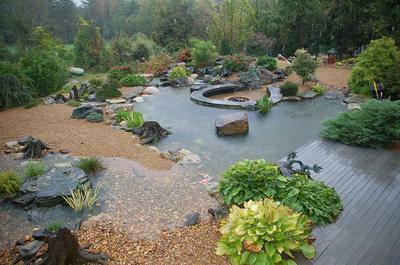 Or are you apprehensive about taking on the responsibility of maintaining a full-fledged ecosystem of Pondless system? 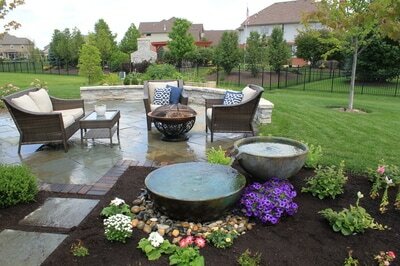 If so... a fountain, bubbling urn or "fountainscape" is most likely perfect for your property. There are so many different versions of these smaller less expensive water features. The most popular are, patio ponds, decorative patio & spillway bowls, basalt columns, brass spitters, slate stacked urns, & even bird baths. 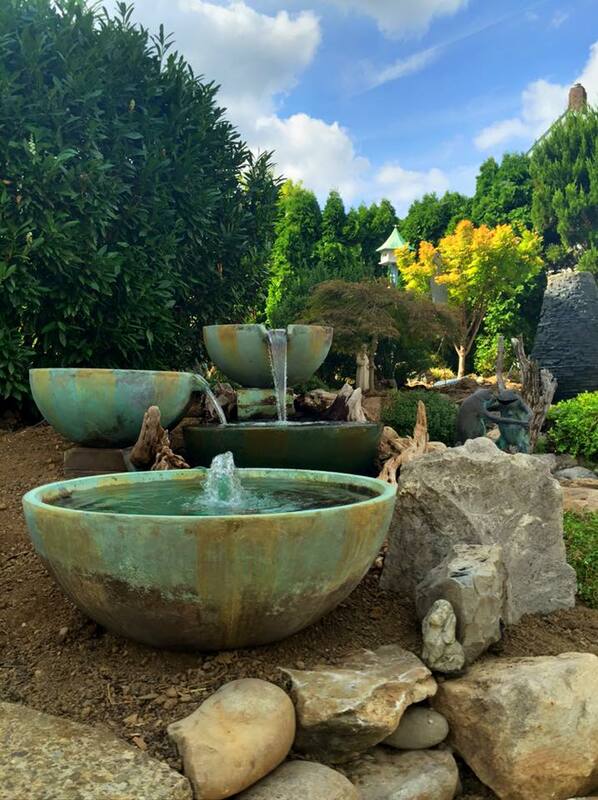 ​To Achieve Big Results !